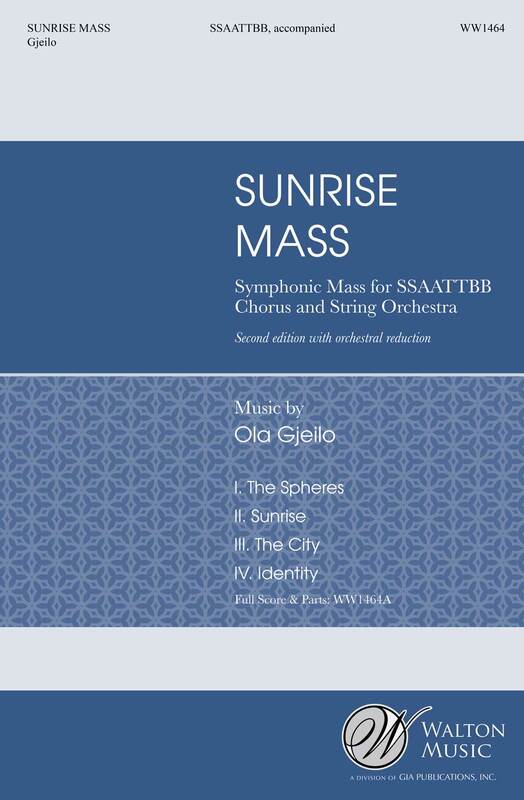 The reason I used English titles, seemingly unrelated to the (mostly) Latin texts, for the movements in this setting of the Mass has mainly to do with the initial idea behind Sunrise Mass. I wanted the musical development of the work to evolve from the most transparent and spacey, to something completely earthy and grounded; from nebulous and pristine to more emotional and dramatic, and eventually warm and solid – as a metaphor for human development from child to adult, or as a spiritual journey. Most of my favorite composers are film composers working in America today, and this piece is partly influenced by movies and film scores from the past few years that I love dearly.